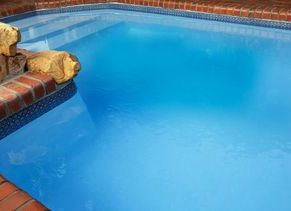 Our pool service visits are completed weekly. Once a week on same day around the same time, one of our Salinas Pool service technicians will test all chemicals then add what is needed to your pool to properly maintain the chemical balance until the next pool service visit, vacuum the pool bottom, brush the pool walls, net the pool surface, clean out the pump and skimmer baskets, as well as inspect pool equipment and bring any issues to your attention. Twice a summer, we clean your pool filter during the pool service visit.